Of these three films we have seen over the last couple of weeks, two we highly recommend. One is in the theaters now, and the other will be released Dec. 2. If you were alive and aware of the political scene when the Kennedys were in the White House, don’t miss this film. And if your knowledge of them, especially First Lady Jacqueline Kennedy, came after the assassination of JFK, I suspect you will also find the film intriguing. Just as Stephen Spielberg took a brief period in the life of Lincoln to give us a portrait of a man who was President, Chilean Director Pablo Larrain takes a ten day period to portray the most admired First Lady of the 20th century. The story takes place around JFK’s assassination and is interlaced with reported footage from the era. No matter how much you may know or think you know about Jacqueline Kennedy, you will gain insights into her world as it comes crashing down. The film tells the story of how she deals with the grief of her husband’s unexpected death, of how she works to enhance his legacy, and, most fascinating of all, it explores in detail her often conflicting thoughts and feelings about her husband, his presidency, and her role as First Lady. 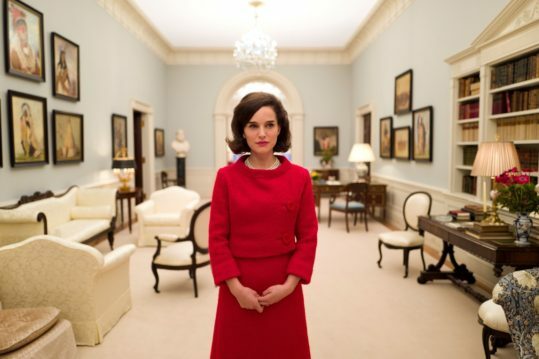 Natalie Portman’s portrayal of Jackie is captivating. While neither she nor the other actors may closely physically resemble the characters they are representing, Portman’s performance is hypnotizing. She is on the screen virtually every moment of the film, and you feel almost as if you are inside her head the entire time. This is an award winning performance. Jackie is scheduled for limited release on Dec. 2, but I’m sure that will be followed by wide availability. Put it on your ‘to see’ list. This documentary is worth seeing for the cinematography alone. It is filmed in the Altai Mountains of Western Mongolia, and Simon Niblett’s photography is simply spectacular. But the film is also enchanting for the true story that it tells. Aisholpan is a 13 year old girl who wants to follow in her Kazahk family’s tradition of becoming an eagle hunter. With the strong support of her father, who believes a girl can do anything a boy can, he helps her capture, train, and hunt with an eagle of her own. 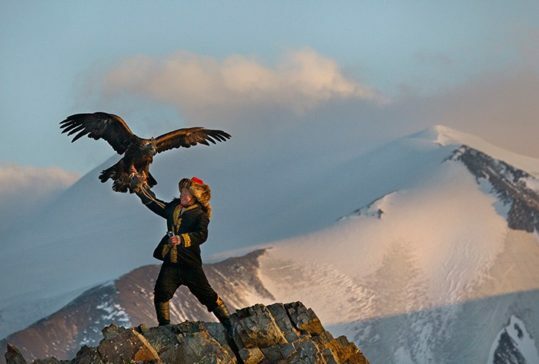 The Eagle Huntress is an unusual film that successfully captures a way of life that is unfamiliar to most of us. You will not only be entertained by the story, but you will also learn about traditional Mongolian culture, landscape, and customs. This film is currently in the theaters, tho I suspect it might not stay around too long. See it while you can. While this coming of age movie has received quite favorable reviews from both critics and audiences, I can’t say I found much new or compelling. It’s the story of a high school junior, Nadine (Hailee Steinfeld), who is kind of awkward, especially in relationship to her star older brother Darien. Things get difficult for Nadine when her best, and only, friend starts to date her brother. It’s a classic — and good — coming of age story with some contemporary twists, but it didn’t break new ground. Woodey Harrelson is delightful in his role as Nadine’s main adult confidant and safety valve. 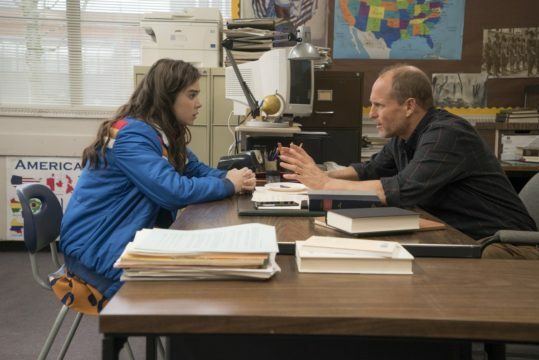 The Edge of Seventeen is in the theaters now. If you missed my Fall Movie Reviews, a post about 15 films we’ve seen since summer, most at the Philadelphia Film Festival, check out those mini-reviews. Many of them are now out in the theaters or will be soon. *When I ask for your Most Favorite Reads of 2016, I’m seeking fiction and/or nonfiction books that stood out for you above all you’ve read in the past year. 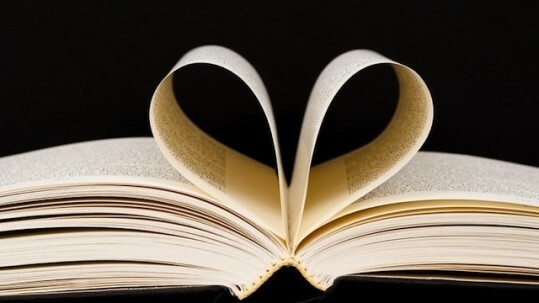 What have been the most enjoyable, the most important, the most thought provoking, the best written, the ones you may go back and read again, the ones you reread this year, and/or the ones you have suggested others read? * Update: At the request of some of you, I’m adding a new category this year. If you have listened to a book(s) in one of the various audio formats, Books on Tape, CDs, Audible, etc., you may add up to three of those if they meet your definition of books “you’ve enjoyed the most in 2016.” This is in addition to the six you (may) have listed. Be sure to identify which ‘books’ on your list were ones you enjoyed audibly. * Your books do not have to be ones that were written and/or published in 2016, just ones that you read over the past year. If you participated this year in sending titles of books you enjoyed in the first half of 2016, feel free to include one or more of those if they make it to your list of most favorites in 2016. To see previous years’ lists, click on any of these links: 2009, 2010, 2011, 2012, 2013, 2014, 2015. Steve Veltri submitted that prediction and his prize is to join me in DC in terrific seats for a Nats game of his choice. If Steve cannot make it to DC in the next year, he can negotiate with me for two tickets to a game he can attend elsewhere. 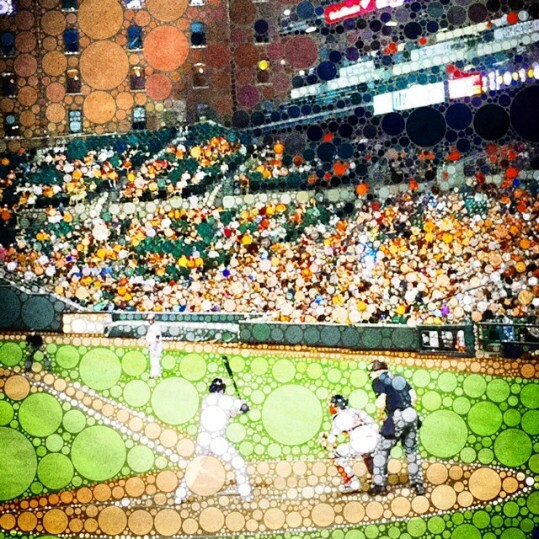 Larry Longenecker submitted the question and answered it correctly. That question will appear in the 2017 MillersTime Baseball Contests, and Larry wins his choice of one of these books: The 20 Best Books Ever Written About Baseball. All of the above win the ‘coveted MillersTime Basebal Contest Winner” T-shirt in addition to their individual contest prize. 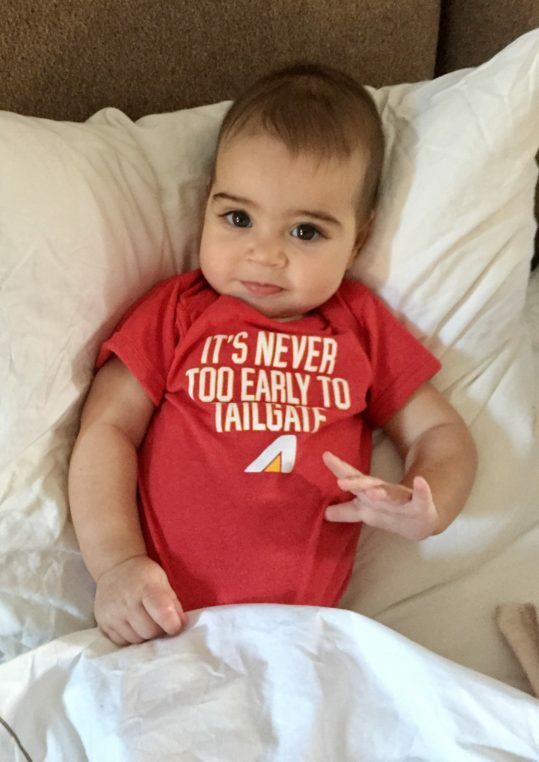 If you won and have not sent me your T-shirt size and home address, please do so. If your win calls for a choice of a book or a game for 2017, please be in touch with me so we can work out those details. And finally, I’m always looking for feedback about these contests. Any thoughts or advice would be appreciated. Just a bit Over Four Months until Opening Day! In previous posts, I indicated it was time to “listen” to what the election was telling us. Mostly, I have stopped spending so much time on social media (particularly Twitter and Facebook) and also have largely been staying away from some of the more mainstream media which was so inaccurate leading up to election. I am posting below links to a number of articles of varying lengths and on various topics that have caught my attention and interest. The End of Identity Liberalism, by Mark Lillanov, NYTimes, Nov. 18, 2016. A short article that speaks to one area the Democrats need to consider. Bernie Sanders said something similar to this yesterday. Behind the “Make America Great” the Koch Agenda Returns with a Vengence, By Theda Skocpol, Alexander Hertel-Fernandez and Caroline Tervo, Talking Points Memo, Nov. 21, 2016. Not as lengthy as the article above but useful in understanding that money did influence this election and that what is ahead is worrisome for those who have concerns about the Koch agendas. Hillbilly Elegy: A Memoir of a Family and a Culture in Crisis, by J.D. Vance, 272 pages, Harper, June 28, 2016. This memoir has received a lot of attention as Vance writes from the “inside” about a part of our country that only now is getting significant attention. Vance grew up in the Middletown OH (the Rust Belt) and in Johnston, KY (an Appalachian town) and writes with intimate knowledge of one portion of America that has deservedly gained much attention in this election. Both Ellen and I found the book valuable. J.D. Vance, the False Prophet of Blue America, by Sarah Jones, New Republic, Nov. 17, 2016. A very short article calling into question some of the conclusions Vance draws in the book mentioned above. Because of a mistake I made, as was pointed out to me by Matt Wax-Krell, I erred in saying that Nick Nyhart edged out Matt Wax-Krell* in Contest # 6. Matt said the Cubs would beat the Red Sox (not the White Sox) in the WS. Thus, he ties with Nick who said the Cubs would beat the Rangers in the WS. I have corrected my earlier post on the results of the contests to reflect this change. Thus, both Nick and Matt each will get one WS ticket for 2017. In an ideal world, the Sox will be in that WS and Nick and Matt will sit together, and both root for the Sox. *Matt is my cousin’s son and has been attending Sox games, sometimes with myself and my daughter, since they were both 7 years old. Family, however, had nothing to do with the ‘revised’ decision. A review of Matt’s emailed predictions clearly shows he said Red Sox, not White Sox. PS – If you have not already voted in the two contests that are to be decided by the votes of all of you on this mailing list, please do so as currently the voting is very close in each contest. See: Vote for the Best Predictions in These Two Contests. Two of the seven contests, Contest #2 and the ‘Extra Credit’ contest have yet to be decided as those winners are to be determined by the votes of contestants. If you have not yet voted, please do by Tuesday, Nov. 22. You can see the two contests’ finalists and vote HERE. Please vote in both those contests. Contest #1: Pick your favorite MLB team (or team you know the most) and answer the following questions to prove whether you’re just a homer or whether you really know something about baseball. Read: What So Many People Don’t Get About the White Working Class, by Joan C. Williams, Harvard Business Review, Nov. 10, 2016. Williams is Distinguished Professor of Law and Founding Director of the Center of WorkLife Law at the University of California, Hastings College in Law. As always, please consider adding your thoughts in the Comment section of this post. Please vote for one winner in each of the two contests listed below. You can put your votes in the Comment section of this post or send them to me at Samesty84@gmail.com. And of course you can vote for your own prediction if it is listed below. Votes must be sent in by Tuesday, November 22. Two years ago I ‘lost’ a friend I had had for 50 years over an issue that involved politics, i.e., over differing views about how each of us saw an issue that one of us felt deeply passionate about. It was a painful loss then and remains a painful loss. Now, the split that has emerged in the country from the presidential election is one that I see and hear spilling into friendships and into families. I personally don’t want to repeat the experience I had two years ago, and similarly, I am deeply concerned about the conflicts I see emerging on both a national level and personal and family levels. I don’t have any answers about how we might respond to these current differences nor how we might prevent these conflicts from splitting friends and splitting families. Do we simply ignore them and pretend they don’t exist? By now everyone knows the Cubs won the World Series last night, this morning actually, and they ended 108 years of not doing so. But the winners are the fans. As we near the election day ‘finish line,’ I suspect no matter who wins, our country will remain divided and the frustrations and dysfunctions that have been exposed will continue unless we learn there are some larger changes we need to make. For me, one of the better essays on where we’re headed, what we can possibly learn, and how we might approach and respond to what is occurring is Michael Slaby’s recent essay. It’s short and seems to me to hit the nail on the head. Of the 15 films mini-reviewed below, almost half of them are now out in the theaters or will be out within the next month or two. Most of these we saw recently at a film festival in Philadelphia.